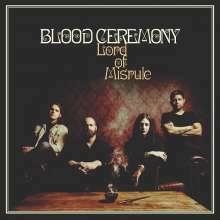 Der Artikel Blood Ceremony: Lord Of Misrule wurde in den Warenkorb gelegt. Taking its title from this fascinating slice of religious history, Blood Ceremony's fourth album evokes pagan rites and the bizarre mystical underbelly of rural Britain. Embracing the psychedelic and progressive in their indelible songcraft, guitarist Sean Kennedy, bassist Lucas Gadke, drummer Michael Carrillo and triple threat vocalist/flautist/organist Alia O'Brien have created what Kennedy calls »a very English album,« despite the band's very Canadian heritage. 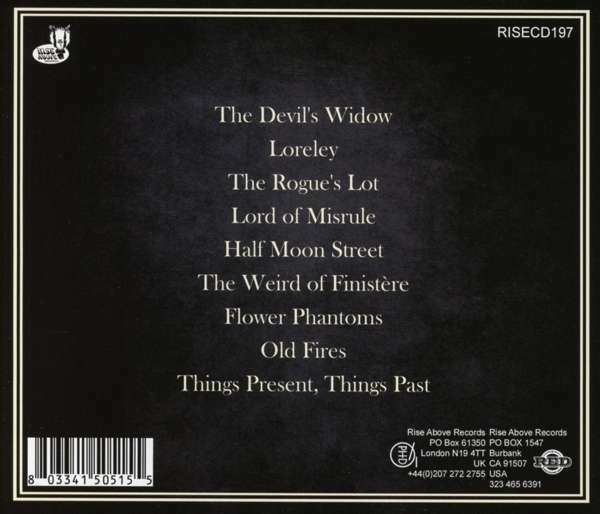 Recorded to analogue tape with producer Liam Watson at Toe Rag Studios in London, Lord Of Misrule possesses a timeless quality within the rock epoch: It could stand alongside a Shocking Blue or Deep Purple record as easily as it will take its place among 2016's finest albums. Lord Of Misrule conjures a lush atmosphere in which the pastoral horror of The Wicker Manand the Scottish ballad of Tam Lin-as viewed through the lens flare of Ava Gardner's witchy turn in 1970's The Devil's Widow-are alchemized into songs of seduction and mortality. »There's no defining concept running through the album, unless one can imagine a lord of misrule offering each song as a different entertainment,« Kennedy says. »The lyrics tend to deal, in different measure, with obsession, love and death.« Case in point: »Flower Phantoms,« which takes its title from a 1926 novel by Ronald Fraser. »This song is a bit of an anomaly for us,« Kennedy offers. »Alia wrote a dark, ›60s-inspired pop song, and I contributed the lyricswhich are quite dark. 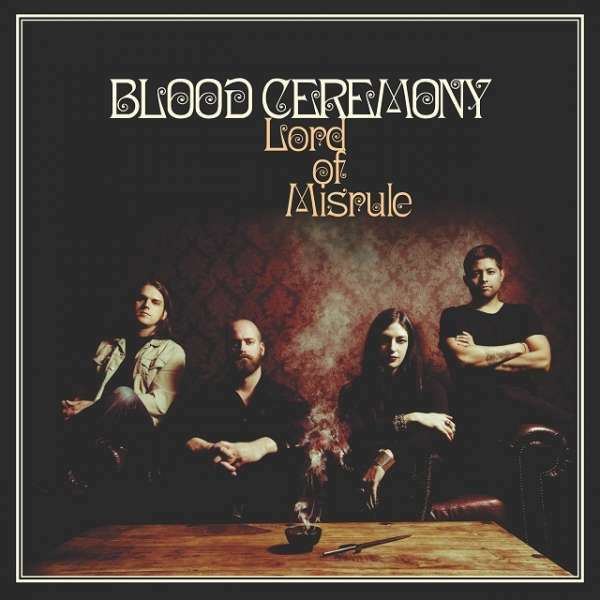 Die Okkult-Rocker von Blood Ceremony präsentieren das Album »Lord of misrule«. Aufgenommen wurde das gute Stück (natürlich analog!) unter der Regie von Liam Watson in den Toe-Rag-Studios in London und hat jetzt schon das Zeug zum Klassiker. Chapeau!